Meet the Mishaps: Liability Larry and Catastrophe Cathy are married with two kids, Deductible Dudley and Peril Polly, and a dog, Risk. As their name implies, they are often faced with very unfortunate circumstances. What’s worse, everyone around them seems to get caught up in their bad luck, too! Join us each month as we dive into some of the adversity that comes their way, all from the insurance perspective! Cathy always wanted a deck off the back of the house where she could sip some lemonade and read in the sunshine. She hounded Larry relentlessly about adding one, but Larry thought it would be a hassle. Unable to hear about the deck any longer, Larry gave in and hired the first contractor he could find who promised to get the job done fast. That was ten years ago, but because the deck was built too quickly, the work was shoddy and soon the deck fell into disrepair. Larry isn’t much of a handyman and Cathy was too busy enjoying the sun to notice some of the signs that the deck wasn’t holding up. Neither Larry nor Cathy inspected the deck or performed the required basic maintenance. Upon returning from a family vacation, Cathy and Larry discovered the deck had collapsed while they were away. They heard from neighbors there had been storms in the area and assumed this was the cause of the damage. Not only did the deck give way, but the fancy furniture, sound system and bar that Larry recently purchased were ruined. 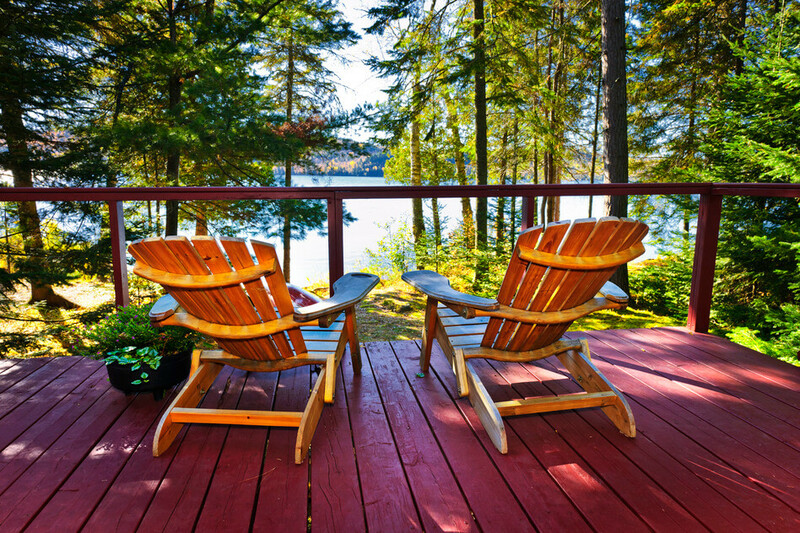 Larry immediately filed a claim with his homeowner’s insurance company to cover the cost to repair the deck and replace the damaged items. The insurance company sent out an engineer to assess the damage and determine cause. Homeowner’s policies typically cover damage to property due to storms and other random and unforeseen events. However, policies do not cover wear and tear or damage due to neglect or improper upkeep. When the engineer arrived on the scene, he found no loss caused by the storm. No tree limb or flying debris had landed on the deck and caused the collapse. Further, it was clear that there had been no lightning strike or wind gust near the deck. Instead, the engineer found that the deck had progressively deteriorated over the years. There was evidence of wood rotting behind substandard flashing and the support beams had evidence of mold and decayed wood. One storm could not have caused the level of damage visible to the inspector. Instead, it was determined that the actual cause of the deck collapse was wear and tear, and replacement of the deck would not be covered under the homeowner’s insurance policy. Larry and Cathy did one thing right though: they had talked to their insurance agent when they added the deck and the fancy outdoor items. As a result, the carrier agreed to cover the replacement of the furniture, sound system and bar. If Larry and Cathy had taken the necessary steps to maintain their deck, a loss due to storm damage would have typically been covered under their homeowner’s policy. In this case, the storm may have been the straw that broke the camel’s back, but the likelihood the deck would have been able to weather the storm would have been much higher if it had been maintained properly. Homeowner’s insurance is necessary and can save the day, but it is not a replacement for diligent upkeep of a home. Larry and Cathy could have avoided this situation if they had routinely performed inspections of their home by simply walking around it, observing damage and performing minor repairs at least annually. Failure to do so resulted in major damage that insurance would not cover, leaving the burden of replacement cost solely on the homeowners. Claims Chronicles of the Mishaps is a fictional series based on actual claims. The Mishaps are an imaginary family and any resemblance to any person is purely coincidental. Claim details and circumstances have been changed to protect the privacy of individuals. All insurance policies are different and each separate policy will dictate the coverage in each unique scenario. Nothing in this post is meant to suggest a guarantee of coverage.